Purge Cache for CloudFlare is a simple plugin for WordPress (download) that uses CloudFlare® API to purge cache of full HTML pages when a new post is made. It works by purging front page, post’s page, and main RSS feed whenever post is created or edited. Also, it forces using of cached pages for commenters and using version that is not cached for logged in users. This should work for most sites. However, there are filters, actions, and methods that provide full customizability and extensibility. This free version is only intended for basic usage. If you want to use it in full capacity, consider buying premium version. You can set page rules differently, however you should know what are you doing and you should take care that excluded path matches value of one in Purge Cache for CloudFlare and that “Edge cache expire TTL” matches value of cache timeout in Purge Cache for CloudFlare also. 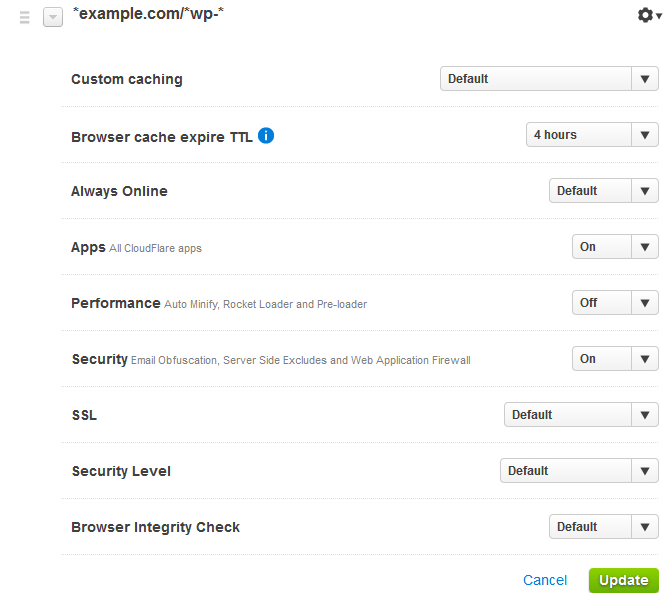 Default values in Purge Cache for CloudFlare can be changed by using Plus version of this plugin. For setting plugin itself, go to Settings > Writing page and fill two fields with options that are necessary. You can find API key at your CloudFlare settings page while email address is one associated with you CloudFlare account. 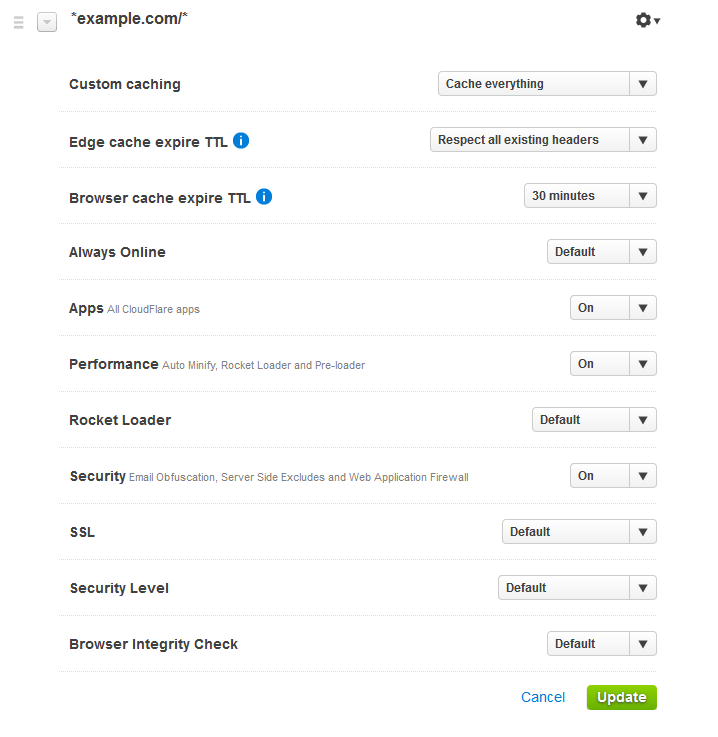 Purge Cache for CloudFlare is in no way affiliated with CloudFlare. 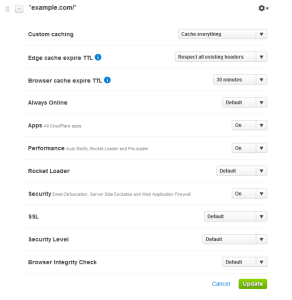 It is only using CloudFlare API to purge page cache of certain URLs. CloudFlare is registered trademark of CloudFlare, Inc.
Purge Cache for CloudFlare is released under the terms of GNU General Public License. It is completely free so if you find it useful you can give something back to author. Your help could be done by giving donation, translating plugin to your language, sending bugs and suggestions, promoting plugin in blogs, forums social networks, and other websites. Edge Expire TTL has changed under their page rules. It no longer provides the ability to respect all headers but allows a minimum of 2 hours. Does this make a difference? I haven’t tested every situation with the new settings as screenshots prove so I can’t tell definitive answer. When I release new plugin version it means that I tested everything.